» Why won't this Universal Remote Control work with my Overhead Door Garage Door Opener? » What Remote Control Works with My Overhead Door Python Opener? » Why won't my universal remote control work with my Overhead Door garage door opener? Why won't this Universal Remote Control work with my Overhead Door Garage Door Opener? I just bought this universal remote control and I can’t get it to program into my Overhead Door garage door opener. What am I doing wrong? This is a common question that we hear from our customers. Very often the customer is not doing anything wrong. Except for the fact that universal remote controls available at the big box stores are not compatible with the older model Overhead Door garage door openers. Many universal remote controls advertise that they can be programmed into Overhead Door brand garage door openers. This statement is true for the newer style “rolling code” (i.e. Code Dodger) Overhead Door garage door openers. It is not true for the older model openers manufactured prior to 1995. 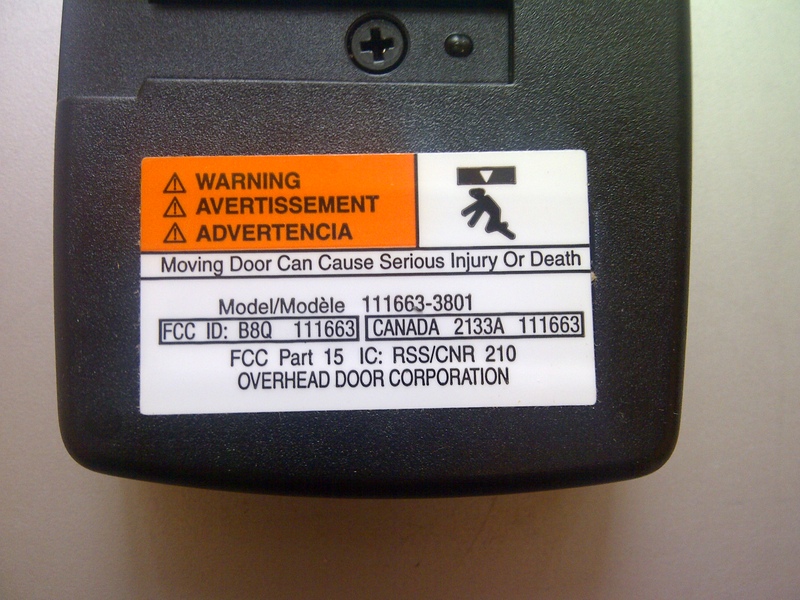 Overhead Door garage door openers such as the model #456, 551, 556, and 1000A utilize a unique radio frequency technology that is not compatible with the universal remote controls available at the big box stores. Are remote controls still available for these older model Overhead Door garage door openers? The good news is YES. Replacement remote controls are still available for the older model Overhead Door garage door openers. However, you will need to determine the radio frequency of the garage door opener. The frequency code can be found the on the back side of an existing remote control. You will be looking for a code similar to 360, 380 or 390. If you can not locate the frequency on an existing remote control, you can still find this information inside the motor head up in the ceiling. Remove the motor cover and locate the circuit board. You should see a white sticker with the frequency code located near the antenna wire. Once you know the radio frequency you can order a replacement remote control that is compatible with your model garage door opener. 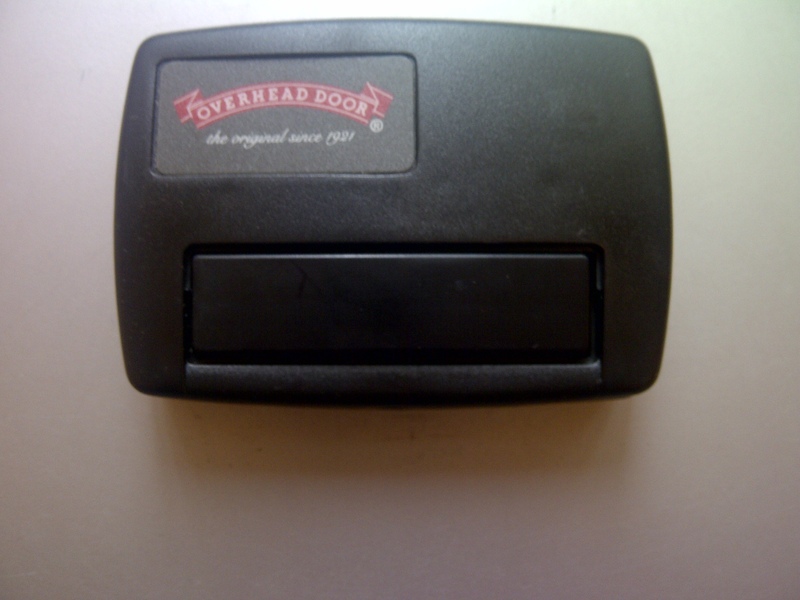 Replacement remote controls for the older model Overhead Door garage door openers can purchased at www.OverheadDoorPartsOnline.com. Programming instructions are included with the remote control. However, each model garage door opener can have specific programming instructions that must be followed. It is always recommended to refer to an owner’s manual for your garage door opener for specific programming instructions. Owner’s manuals are also available at www.OverheadDoorPartsOnline.com. Overhead Door Company of Northern Kentucky is an independently owned and operated Overhead Door distributor. We have been servicing the Greater Cincinnati and Northern Kentucky communities for over 65 years. For more information about Overhead Door Company of Northern Kentucky visit our website at www.OverheadDoorOnline.com. What Remote Control Works with My Overhead Door Python Opener? Why won't my universal remote control work with my Overhead Door garage door opener?